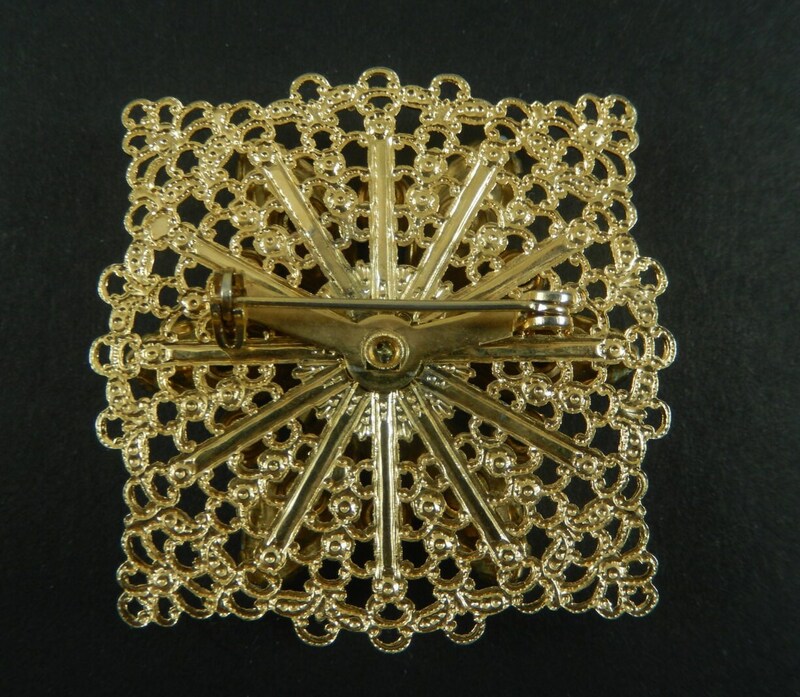 This is a beautiful vintage gold tone flower brooch. 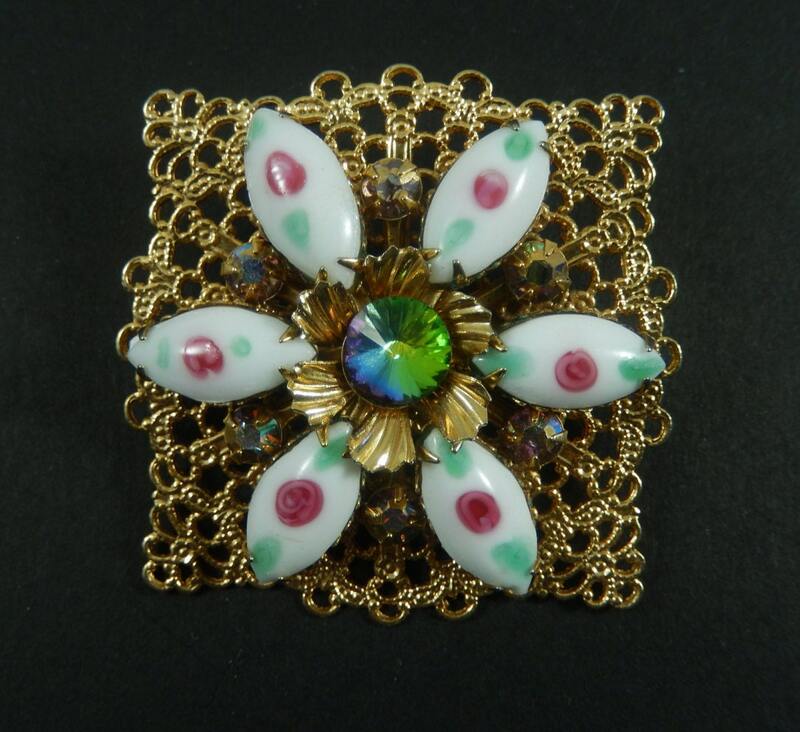 The square frame is a lacey gold tone openwork background for the flower. The flower center is a vitrail rivoli AB rhinestone surrounded by six textured gold tone metal small petals. Then there are six prong set white milk glass navette stones with a maroon flower and two green leaves handpainted on the face of the stone. Between each milk glass is a round prong set AB rhinestone. It measures 1 1/2" square and the pin closure is straight and works smoothly. 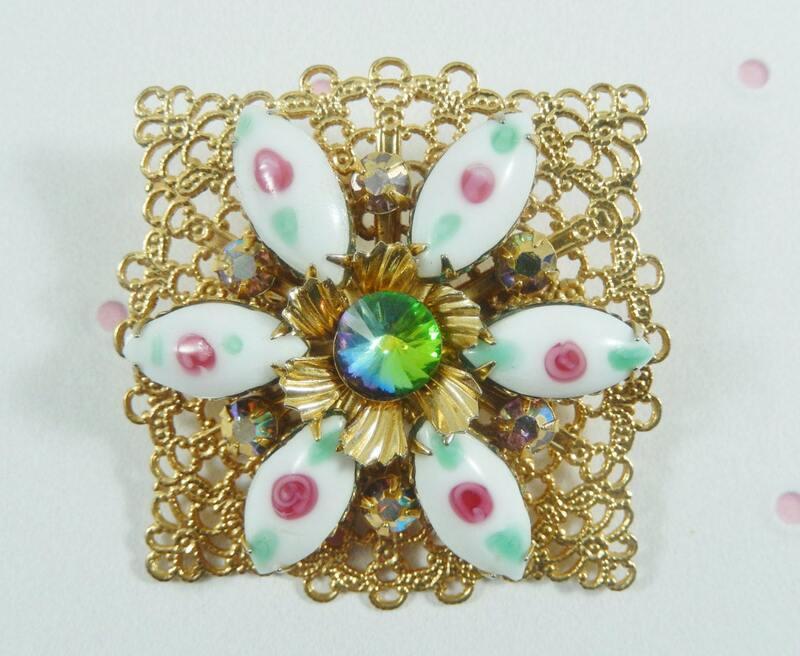 This is a unique, feminine, and dainty piece that makes you want to take a closer look!